Pyrogen Testing Instrument India, Pyrogen Testing Instrument Manufacturer, Pyrogen Testing Instrument Suppliers & Pyrogen Testing Instrument Exporters in India. 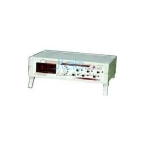 JLab is renowned Exporters & Manufacturer of Pyrogen Testing Instrument & Scientific Lab Instruments India, Pyrogen Testing Instrument Exporters, Educational Science Lab instruments Suppliers India. Extremely useful for Pharmaceutical Labs. Highly Accurate and Easy to Operate.